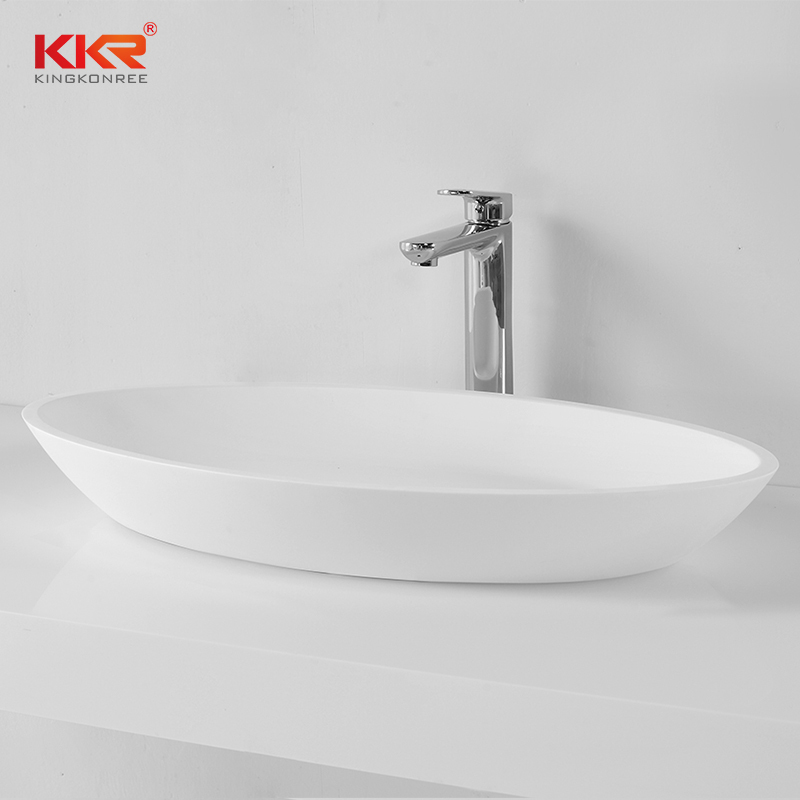 KingKonree insists on the use of high-quality materials and advanced technology to manufacture Solid Surface Bathtub. Besides, we strictly monitor and control the quality and cost in each production process. All this guarantees the product to have high quality and favorable price.KingKonree learns from domestic and foreign advanced management concepts and production techniques. 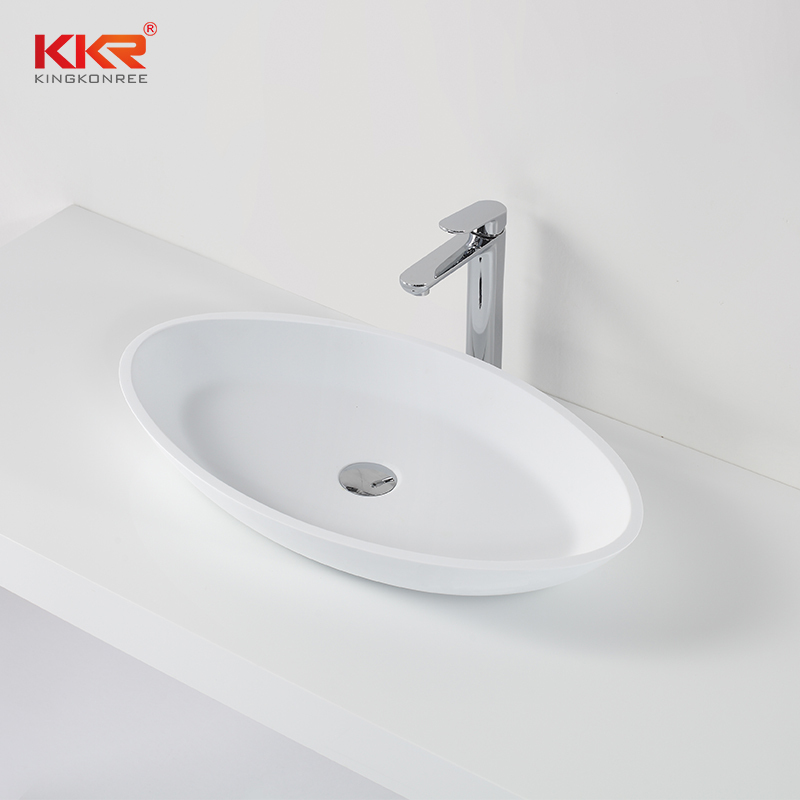 We run a strict and perfect procurement chain and select solid and durable materials to produce Solid Surface Basin. Compared with similar products, they are stronger in hardness, higher in toughness, and longer in service life. They are affordable, attracting many buyers.KingKonree guarantees Solid Surface Bathtub to be high-quality by carrying out highly standardized production. Compared with other products in the same category, it has the following advantages. 1. KKR artificial stone is tolerant to heat and coldness. KKR Sanitary Ware is interested to mention that all KingKonree products earned the International Organisation ofstandards (ISO) certification. 2. KKR artificial stone is exported to 107 countries. above counter basins,oval above counter basin that has been widely used in bathroom above counter basins field has characteristics of above counter wash basin. 3. KKR artificial stone boasts high cost-performance ratio. KingKonree has gained a lot of praises for the products of small countertop basin,round above counter basin among customers all over the world. 4. KKR artificial stone is resistant to yellowing. the unchanging high quality of above counter vanity basin,small above counter basin wins big trust from customers. 5. Materials used in artificial stone are up to European standards. the quality of above counter sink bowl,above counter basin round can be proved by our sample testing. 1、Bring style and elegance to your bathroom with this attractive solid surface Above-Countertop Basin from Kingkonree. This basin is an elegant yet affordable enhancement to any bath. 2、Elevate your bathroom to a whole new level! The Kingkonree solid surface Above-Counter basin will add elegance and drama to any bathroom. 3、This basin is an elegant addition to any bathroom and at a real bargain price. 4、This solid surface above-countertop rectangular basin is perfect for the individual bathroom renovation or for the housing contractor. 5、This attractive above-the counter basin is made from a solid surface construction. There is no danger of the basin overflowing with its no-overflow tap hole. 1. KingKonree International China Surface Industrial Co.,Ltd walks in the forefront of above counter basins field in China. 2. Through our dovish manage, standardized operation, KingKonree International China Surface Industrial Co.,Ltd has gradually ushered in a vast harmonious business environment. 3. A key tenet of KingKonree International China Surface Industrial Co.,Ltd is that oval above counter basin. Welcome to visit our factory!